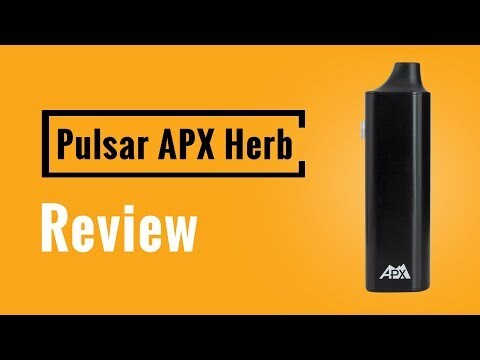 Vapesterdam reviews the Pulsar APX Vape and tries to figure out if Pulsar has a new top 5 budget device on their hands! Pulsar has a wonderful cache of excellent units, and their newest, the APX Vape, has been picking up steam around the internet. Vapesterdam vyes to check out the hype and give you the goods! I’ve had one of these for a few months now, it’s a great introductory unit with a decent enough battery life. A couple of tips I’d say if you’re getting one of these is to keep the unit powered on while you change out the herb as turning it off and back on will dramatically drain the battery. The best temperature for this is 392 degrees for indoor use and if using outdoors I’d say crank it up to 410. Is the Utillian 420 vapor quality better than this one? I picked one up the other day,it does a good enough job for the price. My only complaint is how hot the mouthpiece gets.